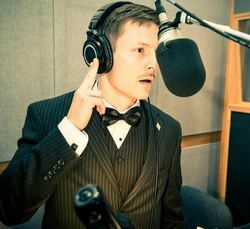 Matthew Erickson is a Canadian voice actor. He was born and raised in rural Alberta, before moving to Vancouver to pursue an acting career. He has played several roles in anime, most notably "Trunks" in Dragonball GT, "Van Flyheight" in Zoids: Chaotic Century, "Yoshitaka Waya" in Hikaru no Go, "Shinn Asuka" in Gundam Seed Destiny and "Amuro Ray" in Zeta Gundam. Most recently, Matt provided the voice of "Harvey" in the new show Sabrina, Secrets of a Teenage Witch.